Home » Atlanta REIA Blog » Articles » The Profit » August 2013 » CASH or CASH FLOW??? Gotta love Real Estate – so many ways to make money!! But we’re not in it for the money are we? Yeah – we are. Ha! So, what interests you more in real estate: Cash or Cash Flow? Some of the scenarios I mentioned above are more about getting Cash (large chunks). Some of the others are more about Cash Flow (money over time). If you asked me, both are great, but usually real estate investors are more interested in one over the other, and neither would be wrong in their approach. In my opinion I think it usually comes down to your situation or your goals. As an example, if you have followed Courtney and me in our real estate investing pursuits, we have been 100% focused on Cash. Why? Because our plan was to quit our jobs and replace our income with real estate investing and had to do it fast since we had little to no savings. So we choose wholesaling as a way to put Cash in our pockets and we’ve successfully replaced our prior job’s income. Great right? Yes – in most ways, but once you have done that wholesale flip, that deal is done and you have to go find another one for your next paycheck. So it’s not really passive income. If you can scale this into a real business with systems in place, it can get easier and you can make a full time living w/o full time hours. Once we have this on autopilot we plan on moving to other areas of real estate – buy and hold for Cash Flow – and fix n flip for big chunks of Cash. It all depends on your situation or your goals. Maybe somebody in a different situation wants Cash Flow as well as build for long term wealth. Long term wealth should be everybody’s goal of course, but you have to start somewhere. Say you have a high paying 9 to 5 job that you don’t want to give up just yet, but you want to put your money to work in real estate. Great idea!! Call me – I’ll wholesale you a house. Haha! But seriously, pick up some rental units, hopefully with little to no money down – either thru owner financing or private lending (banks are for the birds) – get your payments low enough to where after payments, taxes, insurance, and maintenance you can rent at a positive cash flow. Then your renter is paying the house off for you and you ultimately end up with a free and clear house that you paid very little for and gave you Cash Flow – now that’s great ROI!! Over time you could technically pick up lots of rental units giving you a little Cash Flow and it all adds up to a lot of Cash Flow, which is mostly passive income and if you can live off of that, you’ve just retired! Congrats! I guess you could almost phrase it – do you want Cash now or Cash later? I know we needed Cash now out of necessity, but we intentionally put ourselves in that situation. Nothing wrong with slowly picking up rental units along the way either. You could also work on both – Cash and Cash Flow. If you are putting out marketing you should be seeing all kinds of different leads. Some will be good wholesale deals, some will be good buy and holds, some will be good fix n flips, and some will be possible owner finance deals. So let’s figure out a way to make some Cash now and Cash Later. Wholesale some, fix n flip some, and buy and hold some. Make your money and reinvest it into something that will keep making you money. And let’s all retire young and enjoy the lives we were meant to live. Now go out there and make it happen. 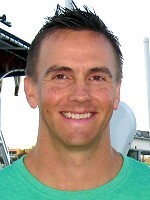 Matt Larsen started buying and selling real estate in October 2012. In the last few months, he and his wife Courtney have done over 25 wholesale deals with no prior real estate investing experience, very little cash and none of their own credit. Now they are both full time real estate investors, work on their own schedule and report only to each other.